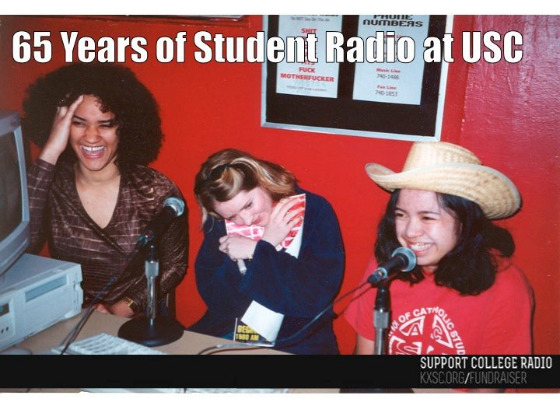 Join us in a celebration of KXSC and the history of student radio here at USC, from the 1950's to today! This event will devote an entire day of programming to every period of USC student radio's diverse history. On April 16th, we will be re-airing old programming and discussing the history of the station in order to celebrate our heritage and preserve it for future generations of DJs and staff. Hear programming from all eras of college radio and interviews from past DJs recalling all the trials and triumphs of a unique student-run college radio station!